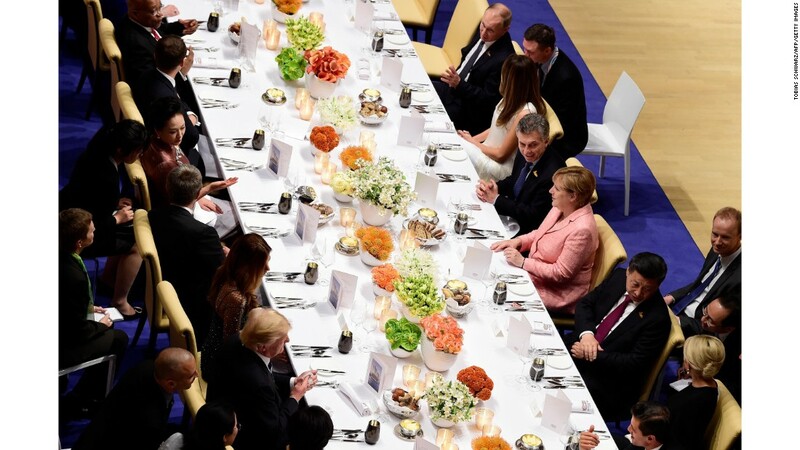 (CNN)– The White House acknowledged this week that President Donald Trump met Russian President Vladimir Putin during the G20 dinner for an hour — a meeting that went undisclosed for weeks until it came out in press reports. This non-disclosure follows a pattern when it comes to some meetings between Trump associates and Russians. 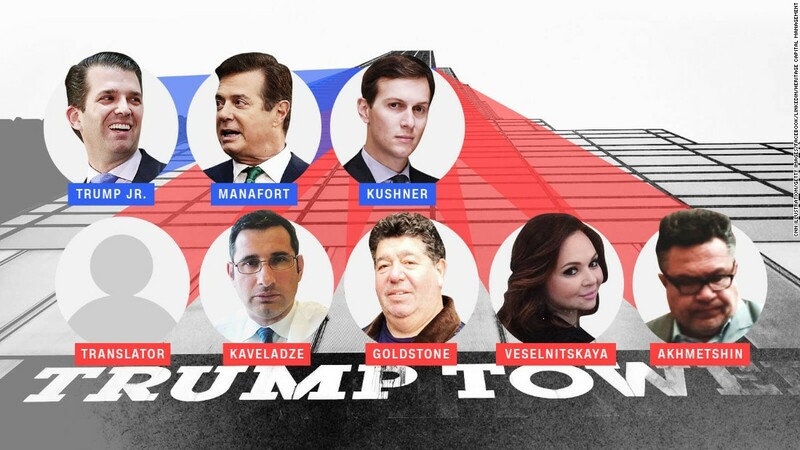 The interactions span back to the in-person meeting at Trump Tower in the summer of 2016 between senior Trump campaign officials and a group of well-connected Russians. The meetings below include formal appointments, casual pull-asides and phone calls. All of them were discovered through leaks and media reports. While there is no legal requirement for people running political campaigns to disclose all their meetings, a handful of the most senior Trump campaign, transition and administration officials insisted for months that there were no contacts with Russians. The interactions came in the midst of Russia’s attempts to influence the 2016 election and during the subsequent political fallout. Once some of the aides became White House officials, however, not revealing Russian interactions and meetings is more than an omission to the public — it could be illegal. If any White House and administration officials intentionally omitted meetings with Russian foreign nationals on their security clearance forms, that could be a federal crime. A number of previously undisclosed interactions with Russians have been revealed in the past six months since Trump took office, and White House officials and Trump associates have since confirmed the following such interactions with Russians. Donald Trump Jr., his brother-in-law Jared Kushner, and Trump’s campaign chairman Paul Manafort attended a private meeting at Trump Tower with a Russian lawyer and others. The meeting was arranged after Trump Jr. was promised damaging information on Hillary Clinton. The meeting wasn’t made public until The New York Times reported about it earlier this month. In his first public statements, Trump Jr. shrugged it off as a discussion of Russian adoptions. But as more stories came out, he released an email chain that revealed the promise of dirt on Clinton from the Russian government. The emails were the first public indication that at least some in the campaign were willing to accept Russian help and that the Russian government was seeking to help Trump. Kushner didn’t mention the meeting on the first three versions of the security clearance forms he submitted to join the White House even though the forms ask for details of contacts with foreign nationals. Manafort and Trump Jr., who don’t work for the administration, didn’t have to disclose the information on security clearance forms. One month after the meeting, Manafort publicly denied any links between the campaign and Russia. Attorney General Jeff Sessions met with Russian Ambassador Sergey Kislyak at a State Department organized event during the Republican National Convention in Cleveland while Sessions was still a senator and Trump campaign surrogate. The meeting first came to light in March, when it was reported by The Washington Post. Sessions did not disclose this meeting when he applied for his security clearance. He also did not mention it when he was asked about contact with Russians during his Senate confirmation hearings earlier this year. Sessions has argued he was told by the FBI he did not have to disclose such a meeting because it was conducted in his capacity as a US Senator even though it took place at a political convention. The revelation led to calls for Sessions to recuse himself from overseeing the FBI investigation into potential collusion between the Trump campaign and Russia. Sessions ultimately agreed to step aside. 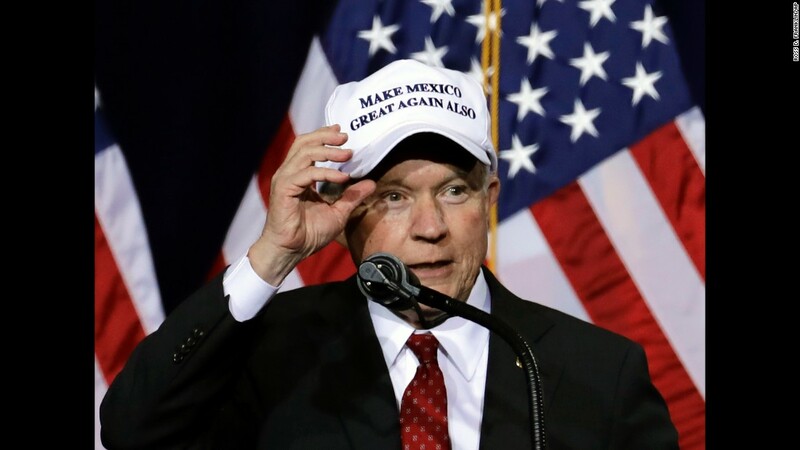 Sessions said he had considered recusal based solely on being connected to the campaign from the day he became attorney general. Trump campaign national security advisers J.D. Gordon and Carter Page met Kislyak separately during the same event, which USA Today first reported in March. Gordon told CNN he had “informal conversations” with Kislyak on two occasions during the all-day event, which was attended by members of the RNC and other Trump campaign staffers. He said only one of his interactions involved Page. Page told USA Today he had “no substantive discussions” with Kislyak. Page left the Trump campaign after a few months amid questions about his connections to Russia. Neither man joined the Trump administration and so they were not required to disclose their meetings. 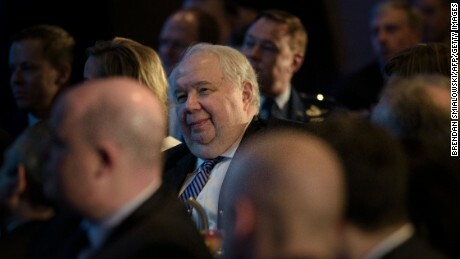 The Washington Post reported Friday that Kislyak was previously picked up in US intelligence intercepts telling his Russian colleagues that he talked with Sessions about the campaign at their meeting during the convention. Sessions’ office recently denied he ever spoke with Kislyak about campaign interference, and he has repeatedly denied discussing the campaign more broadly with any Russians. US officials warn that foreign officials often brag or exaggerate while reporting information back to their home county. 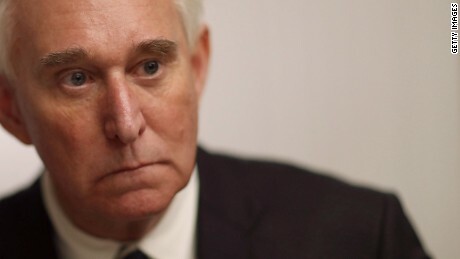 Trump’s longtime ally and former campaign adviser Roger Stone exchanged direct messages on Twitter last August with a hacker called Guccifer 2.0. The US intelligence community says Guccifer 2.0 is a front for the GRU, a Russian military intelligence agency that was deeply involved in Russia’s election-meddling campaign. Stone wasn’t on the campaign at the time, though he did stay in touch with Trump during the election. These contacts weren’t publicly known until The Smoking Gun reported about them March 8. Stone later released screenshots of what he claimed was the full conversation, which showed that Guccifer 2.0 offered to help Stone, but showed no Stone response. The Guccifer 2.0 persona claimed credit for hacking the Democratic National Committee, whose emails were released in July 2016 by WikiLeaks. Guccifer 2.0 leaked other DNC and Democratic Congressional Campaign Committee files on his website. Stone isn’t legally obligated to disclose these contacts. But two weeks before they were revealed, Stone said in an interview, “I have had no contacts from Russians or intermediaries for Russians.” It’s not clear if he knew at the time of the Twitter messages that Guccifer 2.0 was a front for Russian hackers, though Guccifer 2.0 had already claimed credit for hacking the DNC. Sessions met with Kislyak for a second time during the presidential campaign, this time in his Senate office in Washington. This wasn’t publicly known until The Washington Post reported about it in March. Sessions denied any campaign-related meetings with Russians at his confirmation hearing, saying “I did not have communications with the Russians.” He also didn’t disclose it in his security clearance forms for the same reason stated above. The meeting took place at the height of Russia’s campaign to influence the US election. One day earlier, WikiLeaks released the first batch of emails stolen from Clinton campaign manager John Podesta. The US intelligence community says Russian hackers got the emails and gave them to WikiLeaks. 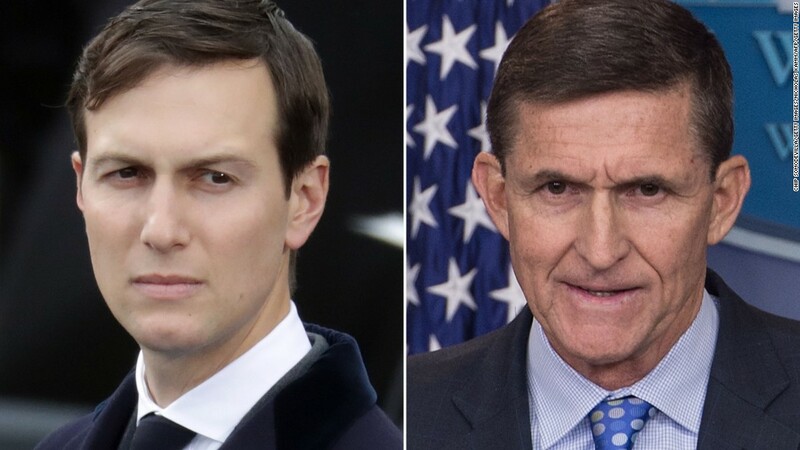 In early December, Trump’s incoming national security adviser Michael Flynn and Kushner met with Kislyak at Trump Tower. The Washington Post reported that the meeting was either December 1 or 2. 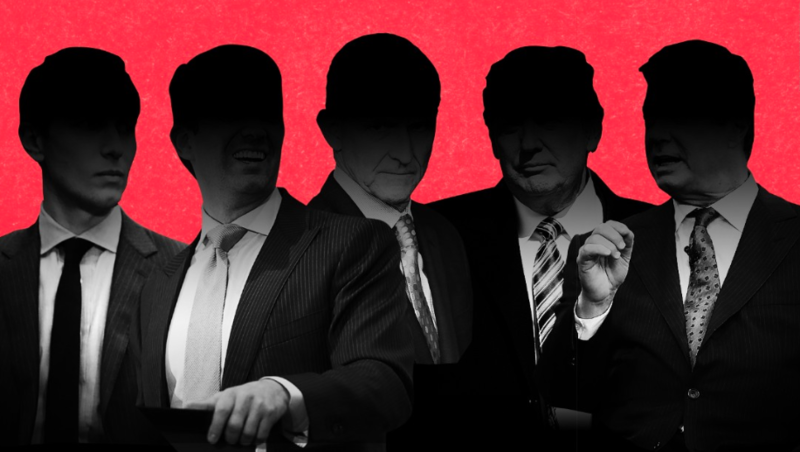 The meeting, first revealed by the The New Yorker on March 6, was described by a White House official to CNN as a 10-minute ‘introductory meeting” meant as a “kind of an inconsequential hello.” CNN later reported that Kushner discussed with Russia’s ambassador to Washington the possibility of setting up a secret, secure channel for communications between the Trump transition and the Russian government. Kushner updated his security clearance forms, which did not initially disclose the meeting, to include it. Kushner met Sergey Gorkov, the president of the Russian state-run bank Vnesheconombank, also known as VEB. The meeting was first revealed three months later by The New York Times. The bank was placed on a US sanctions list in 2014 after Russia annexed Crimea and started assisting pro-Russian rebels in Ukraine. The White House and VEB continue to give conflicting explanations about the nature of the meeting. The bank claims it was part of a business strategy and the meeting with Kushner was tied to his corporate position in his family’s real estate company. The White House says it was unrelated to business and was for US diplomacy. The bank and the White House have declined to provide the exact date or location of the meeting, but The Washington Post reported that the meeting likely took place place on December 13 or 14. Flynn spoke on the phone with Kislyak on December 19, but it wasn’t acknowledged until one month later, when then-Trump transition spokesman Sean Spicer confirmed the call. He said the call came in the wake of the assassination of Russia’s ambassador to Turkey, and Flynn offered his condolences. Flynn exchanged text messages with Kislyak on December 25. This wasn’t publicly known for three weeks, until Spicer acknowledged it at a press briefing. He said Flynn wished Kislyak a merry Christmas. Flynn called Kislyak once more, this time to arrange a future call between Trump and Putin, according to Spicer, who disclosed the interaction in a press briefing to reporters on January 13. CNN reported that Flynn spoke with Kislyak on December 29. Reuters reportedthat they had five calls on that day. These calls were not publicly known until a Washington Post report came out two weeks later. On the same day as the calls, President Barack Obama announced new sanctions against Russia as punishment for its interference in the 2016 election. After Trump took office, senior administration officials, including Vice President Mike Pence, publicly insisted that Flynn never discussed sanctions with Kislyak. Those denials fell apart when The Washington Post later reported that Flynn did talk sanctions, and Flynn resigned on February 13. The calls caught the attention of the Justice Department and the FBI. 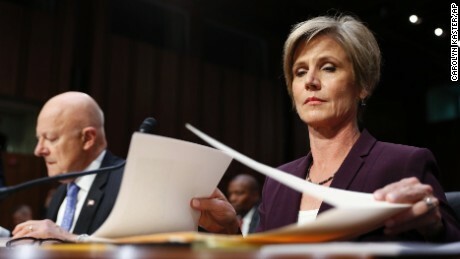 Acting Attorney General Sally Yates warned the White House in January that Flynn had misled the White House about discussing sanctions. 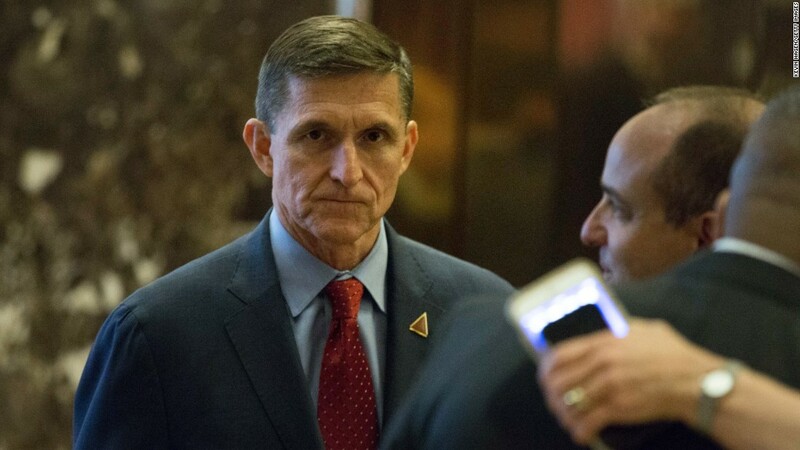 Flynn resigned from his White House role in February after reports of Yates’ warning surfaced along with news that Flynn misled administration officials regarding his communications with Kislyak and was potentially vulnerable to blackmail by the Russians. 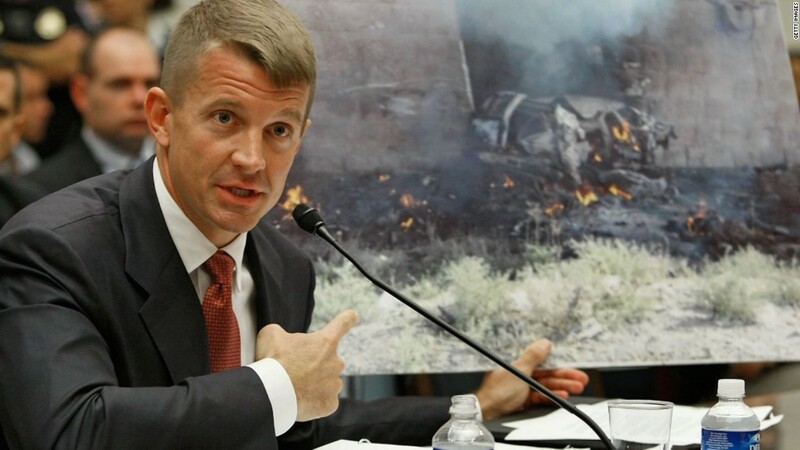 Erik Prince, an informal adviser to Trump and major campaign donor, met a confidant of Russian President Vladimir Putin during a trip to the Seychelles, a tiny island chain in the the Indian Ocean. The story didn’t come out until The Washington Post wrote about it on April 3. The Post said Prince acted as a Trump envoy, but a Prince spokesman told CNNthat the meeting had nothing to do with Trump. The spokesman did not say what it was about, though the Post reported it was an effort to establish a back-channel between the Kremlin and Trump. The White House says Prince played no role in the transition, but sources told CNN that he met with members of Trump’s incoming national security team. Prince continues to informally advise Trump, recently helping the White House craft Afghanistan policy. Prince is not a White House official, however, and had no duty to disclose such a meeting. Trump had an hour-long conversation with Russian President Vladimir Putin during a dinner for G20 leaders in Germany. The two spoke with no one else present besides Putin’s translator. It came hours after their formal bilateral meeting, which included introductory comments to the press. The White House did not acknowledge that the second conversation took place until July 18 — two weeks later. A White House statement characterized the meeting as “brief” and said it took place in full view at a dinner for world leaders and their spouses. Trump was seated near Japanese Prime Minister Shinzo Abe and Abe’s wife, while first lady Melania Trump was seated next to Putin. The White House said Trump went over to his wife and spoke with Putin near the dinner’s end.